18.4.16 Our tadpoles were growing very fast, so we took them to live in our own school pond today. We will go and check on them each week. 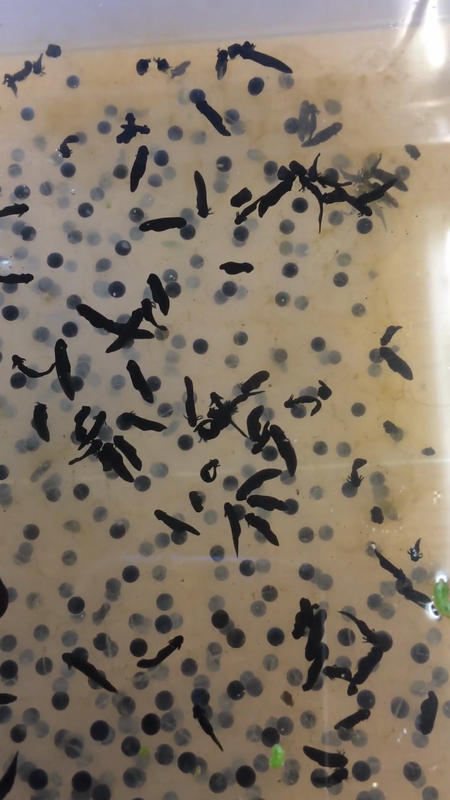 Our frogspawn is starting to evolve into tadpoles.....some have little tails!